For their 5th annual edition, the Minneapolis Underground Film Festival is heating up by returning to the summer after being a winter event for the past three years. The fest will run on Aug. 17-19 with a killer lineup of films from all over the world — most of which probably will not be able to be seen in Minnesota except at this 3-day event. Plus, there are two programming blocks of short films all made by local filmmakers, including Pam Colby’s Fertile Ashes, Ryan Becken’s Buffalo Shampoo, Janelle Sorenson & Melany Joy Beck’s Bring It 2 Peter, JL Sosa’s Some of Angela and more. The feature films screening this year cover an extremely diverse swath of subject matter, from every day people’s murder fantasies fulfilled — cinematically, at least — in Michal Kosakowski‘s German documentary Zero Killed; a tattoo comes to live to torment its wearer in Derek Franson’s Canadian thriller Comforting Skin; American filmmakers JJ Kelly & Josh Thomas attempt to document the entire length of one of the world’s largest rivers in Go Ganges! ; ’70s mystery TV cartoons get spoofed in Spencer Parsons‘ Saturday Morning Massacre. And a whole hell of a lot more! There are also several non-local filmmaker short film blocks, which includes work by underground faves Luke Black (Beef Barley Brothers); Carey Burtt (Helping: With Travis); Greg Hanson (Sink Hole) and Paul von Stoetzel (Viscosity); as well as many other top-notch independent filmmakers. It’s really an exciting lineup, which you can view in full below. 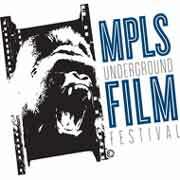 For more info, please visit the official Minneapolis Underground Film Festival website. 5:45 p.m.: This Ain’t California, dir. Marten Persiel. This documentary chronicles the lives of three skateboarders who grew up in the German Democratic Republic in the ’70s and ’80s. 7:30 p.m.: Go Ganges!, dir. JJ Kelly & Josh Thomas. In this documentary, two filmmakers attempt to document the entire length of the Ganges River. 1:00 p.m.: Graupel Poetry, dir. Bruce Saxway. An aspiring actor in Hong Kong lands his first big role, except his life goes to hell in a handbasket when his co-star is murdered. 2:30 p.m.: Heavy Girls, dir. Axel Ranisch. A put-upon bank teller spends his nights caring for his mother who is suffering from dementia and who escapes from his care one night. 6:00 p.m.: Red Flag, dir. Alex Karpovsky. Director Karpovsky stars as an indie filmmaker who goes on a reluctant road trip with a friend after he’s dumped by his longtime girlfriend. 1:00 p.m.: Heaven + Earth + Joe Davis, dir. Peter Sasowsky. This documentary profiles the quirky artist and scientist who has done such things as recording the sounds of micro-organisms and encoding Greek philosophy into fly DNA. 7:30 p.m.: The Comedy, dir. Rick Alverson. A man wanders aimlessly through life until he hooks up with a group of hipsters who perform degrading acts of cruelty for fun. 9:15 p.m.: Comforting Skin, dir. Derek Franson. A woman is dragged into a dangerous world when her tattoo mysteriously comes to life.